Moving this past weekend was a great success! We are so thankful for all our wonderful friends who helped us out. I am in LOVE with our new place. It's still a little messy, hah...but we're making it our goal to have everything all set up and put away by this weekend. In other news...winter temperatures have arrived here in NC! I have been consistently cold for days now. 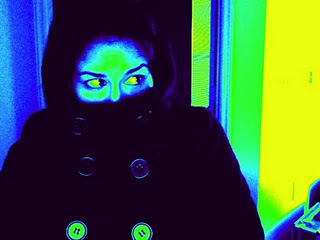 Right now I'm sitting inside our apartment wearing my winter coat. Yeah, it's that cold. I think we need one of these. I like this cute orange one.